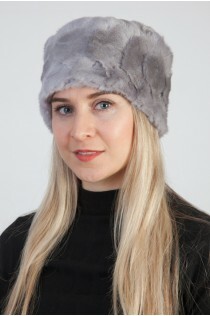 For those women wishing to be trendy during cold winter days, amifur.co.uk offers luxurious selection of real fur accessories. 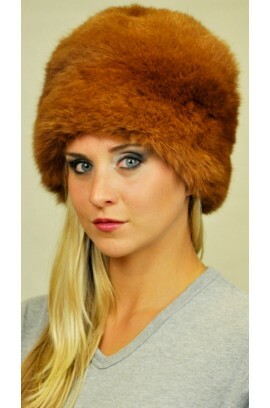 Amifur.co.uk online store offers real fur hats, scarves and other stylish fur accessories. 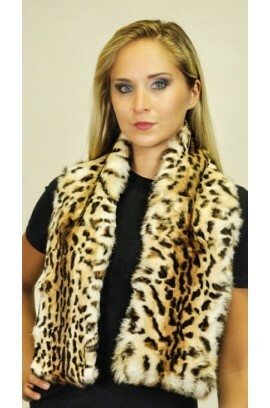 Shop the largest selection of fur shawls, stoles, collars, neck warmers, headbands and bidal fur accessories. 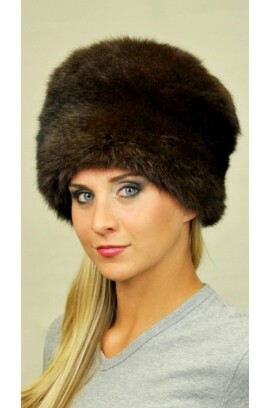 We are offering top quality women‘s fur accessories in the largest styles! 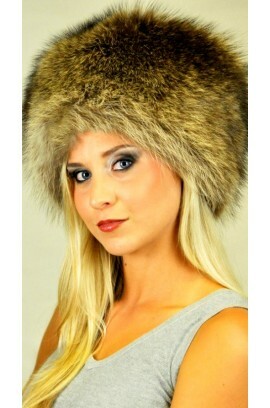 All our fur accessories are made from genuine natural fur - mink, fox, beaver, possum, karakul, raccoon, rex-chinchilla, lapin, lynx and sable. 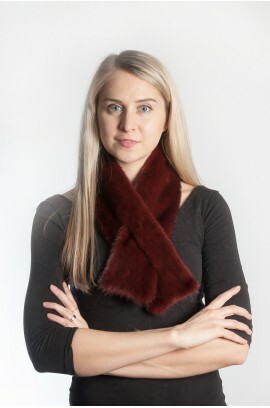 Amifur women‘s fur accessories are made of finest, freshest genuine furs sourced direct from suppliers and hand-stitched to perfection with fine satin inner lining. Each is unique and almost a work of art but priced affordably. 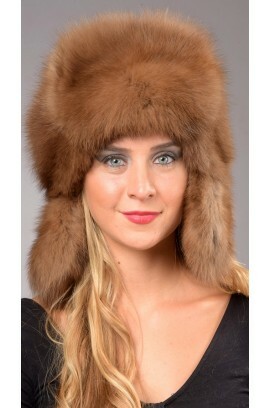 Each of our women‘s fur accessories is made in Italy. Handmade product. 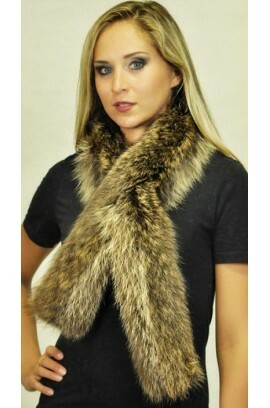 All our fur products are sewn in Italy only from quality natural fur. We ensure best quality materials. 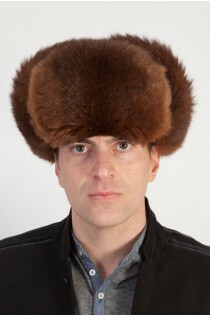 -Russian Style hat -Genuine Sable fur -Unisex -Natural color -Extremely warm, soft and luxurious fur hat -Fur on both sides of the front and ear flaps -Inner Polyester lining -Made in Italy. 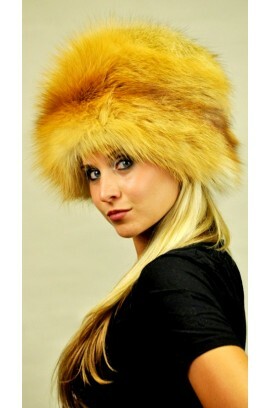 Brand Amifur snc -Top quality materials guaranteed ..
-Authentic Sable fur hat -Russian Style hat -Genuine Sable fur -Unisex, for women and men -Golden-Champagne color -Extremely warm, soft and luxurious hat -Fur on both sides of the front and ear flaps -Inner Polyester lining -Made in Italy. 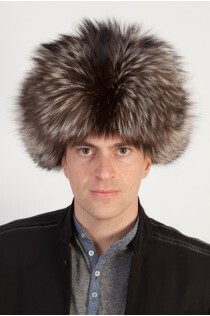 Brand Amifur &n..
-Silver fox fur hat -Russian Style hat -Genuine Scandinavian silver fox fur -Fur on both sides of the front and ear flaps -Unisex -Natural color -Extremely warm, fluffy, stylish and luxurious fur hat -Inner Polyester lining -Made in Italy. 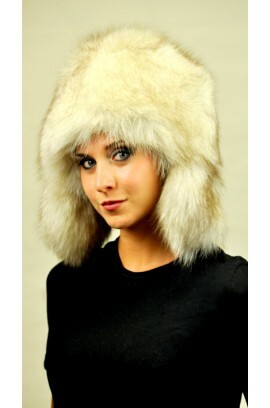 Brand Amifur snc -Top quality mat..
-Arctic Greenland fox fur hat -Classic fur hat -Genuine Arctic fox fur -Woman -Natural white-cream color -Extremely warm, fluffy and stylish fur hat -Inner Polyester lining -Made in Italy. 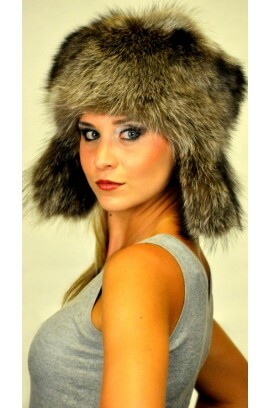 Brand Amifur snc -Top quality materials guaranteed ..
-Grey fox fur hat -Classic fur hat -Genuine Scandinavian fox fur -Woman -Natural grey color -Extremely soft, warm, fluffy and stylish fur hat -Inner Polyester lining -Made in Italy. 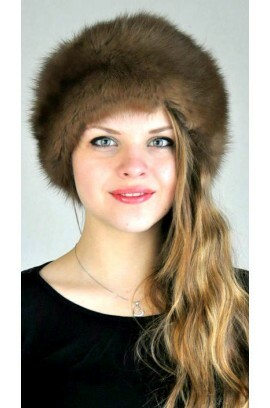 Brand Amifur snc -Top quality materials guaranteed ..
-Peken fox fur hat -Classic fur hat -Genuine Scandinavian fox fur -Woman -Natural color -Extremely warm, fluffy and stylish fur hat -Inner Polyester lining -Made in Italy. 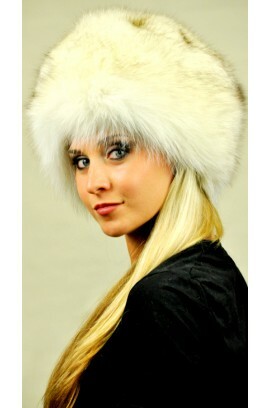 Brand Amifur snc -Top quality materials guaranteed ..
-Authentic white fox fur hat -Classic fur hat -Genuine white fox fur -Woman -Natural white color -Extremely soft, warm, fluffy and stylish fur hat -Inner Polyester lining -Made in Italy. 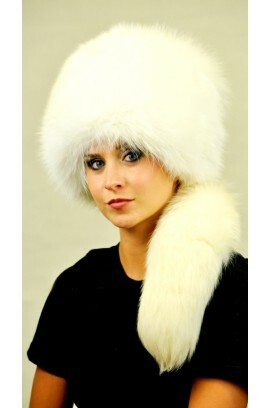 Brand Amifur snc -Top quality materials guaranteed ..
-Authentic white fox fur hat with tail -Real fox tail -Genuine Arctic fox fur -Woman -Natural white color -Extremely soft, warm, fluffy and stylish fur hat -Inner Polyester lining -Made in Italy. 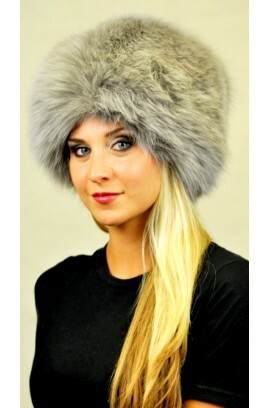 Brand Amifur snc -Top quality materials guaranteed ..
-Silver fox fur hat with tail -With real silver fox tail -Genuine Scandinavian silver fox fur -Woman -Natural color -Extremely warm, fluffy, stylish and luxurious fur hat -Inner Polyester lining -Made in Italy. 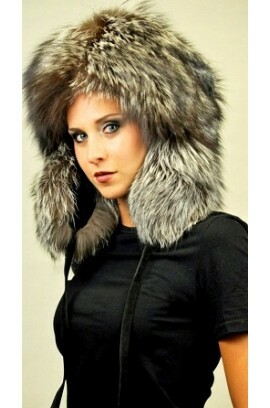 Brand Amifur snc ..
-Silver fox fur hat -Classic fur hat -Genuine Scandinavian fox fur hat -Woman -Natural silver-white-black color -Extremely soft, warm, fluffy and stylish fur hat -Inner Polyester lining -Made in Italy. 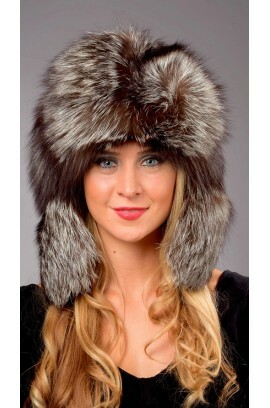 Brand Amifur snc -Top quality materials guaranteed ..
-Silver fox fur hat -Ushanka -Genuine Scandinavian silver fox fur -With fur on both sides of ear flaps -Woman -Natural silver-white-black color -Extremely soft, warm, fluffy and stylish fur hat -Inner Polyester lining -Made in Italy. 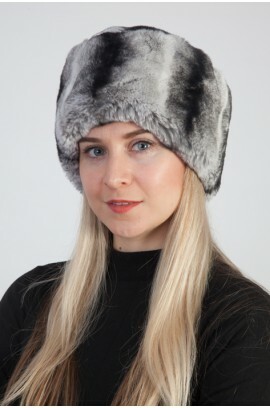 Brand Amifur snc -Top quality materials..
-Greenland fox fur hat -Ushanka -Genuine Arctic Greenland fox fur -With fur on both sides of ear flaps -Woman -Natural color -Extremely soft, warm, fluffy and stylish fur hat -Inner Polyester lining -Made in Italy. Brand Amifur snc -Top quality materials guaranteed ..
-Real Greenland fox fur hat -Genuine fox fur -Classic Style -Extremely warm, fluffy and soft hat -Natural colour -Inner polyester lining -Made in Italy. Brand Amifur snc -Best quality guaranteed ..
-Golden fox fur hat -Genuine Scandinavian golden fox fur -Classic style -Extremely soft, warm, fluffy, trendy fur hat -Natural golden-red colour -Inner polyester lining -Made in Italy. Brand Amifur snc -Best quality guaranteed ..
-Arctic platinum fox fur hat -Genuine Arctic fox fur -Classic style -Extremely soft, warm, fluffy, trendy fur hat -Natural colour -Inner polyester lining -Made in Italy. Brand Amifur snc -Best quality guaranteed ..
- Arctic fire fox fur hat -Ushanka -Genuine Scandinavian fox fur -Fur on both sides of the ear flaps -Woman -Natural white-fire colour -Inner polyester lining -Extremely warm, soft, fluffy and stylish fur hat -Made in Italy. 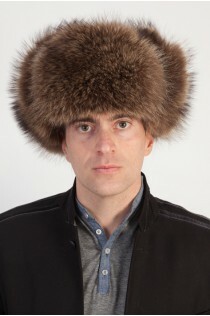 Brand Amifur snc &..
-Golden fire fox fur hat -Ushanka -Genuine Scandinavian fox fur -Fur on both sides of the ear flaps -Natural white-golden-fire colour -Inner polyester lining -Extremely warm, soft, fluffy and stylish fur hat -Made in Italy. Brand Amifur snc ..
-Bluish fox fur hat -Genuine Scandinavian fox fur -Classic style -Extremely soft, warm, fluffy, trendy fur hat -Not natural bluish colour -Inner polyester lining -Made in Italy. Brand Amifur snc -Best quality guaranteed ..
-Authentic Lynx fur hat -Classic style hat -Genuine Lynx fur -For Women -Natural colour and naturally spotted -Extremely warm, soft and luxurious hat -Inner Polyester lining -Made in Italy. Brand Amifur -Top quality materials guaranteed ..
-White mink fur hat -Classic style -Genuine Scandinavian white mink fur -Natural white-cream colour -Inner polyester lining -Warm, soft and stylish fur hat -Made in Italy. Brand Amifur snc -Best quality guarantee..
-White mink fur hat -Ushanka -Fur on both sides of the ear flaps -With real fur pom poms -Genuine Scandinavian white mink fur -Natural white-cream colour -Inner polyester lining -Warm, soft and stylish fur hat -Made in Italy. Brand Amifur snc ..
-Authentic mink fur hat -Genuine Scandinavian mink fur -Classic style -Natural colour -Inner polyester lining -Warm, soft and stylish fur hat -Made in Italy. Brand Amifur snc ..
-Authentic mink fur hat, with real tails -Genuine Scandinavian mink fur -3 real mink tails -Natural colour -Inner polyester lining -Warm, soft and stylish fur hat -Made in Italy. 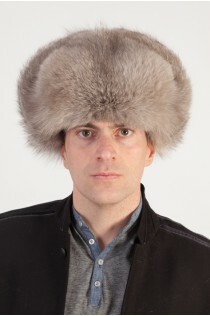 Brand Amifur snc ..
-Authentic mink fur hat -Genuine Scandinavian mink fur -Ushanka, with 2 real mink tails -Fur on both sides of the ear flaps -Natural colour -Inner polyester lining -Warm, soft and stylish fur hat -Made in Italy. 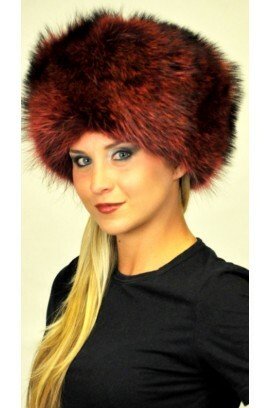 Brand Amifur snc ..
-Red-cherry raccoon fur hat -Genuine raccoon fur -Classic style -Not natural red-cherry colour -Inner polyester lining -Extremely warm, soft and stylish fur hat -Made in Italy. 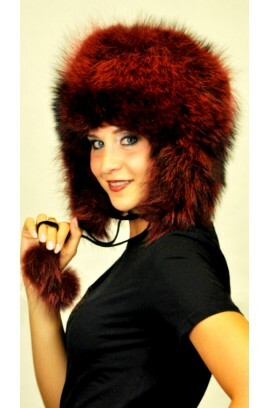 Brand Amifur snc ..
-Red-cherry raccoon fur hat -Genuine raccoon fur -Ushanka, with real raccoon pom poms -Fur on both sides of the ear flaps -Not natural red-cherry colour -Inner polyester lining -Extremely warm, soft and stylish fur hat -Made in Italy. 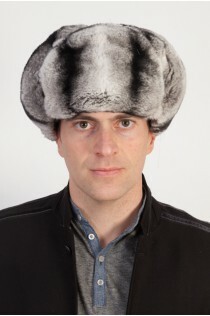 Brand Amifur snc ..
-Real raccoon fur hat -Genuine raccoon fur -Ushanka -Fur on both sides of the ear flaps -Natural colour -Inner polyester lining -Extremely warm, soft and stylish fur hat -Made in Italy. 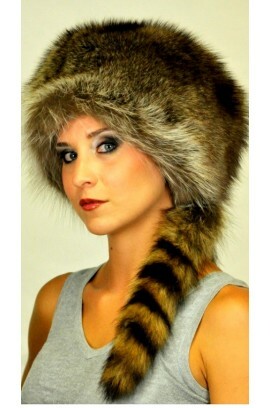 Brand Amifur snc -Best ..
-Coonskin Cap -Real raccoon fur tail -Genuine raccoon fur -Unisex -Natural colour -Inner polyester lining - Extremely warm, soft and trendy fur hat -Made in Italy. 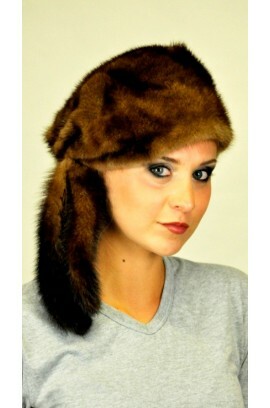 Brand Amifur snc -Best quality guaranteed ..
-Raccoon fur hat -Classic style -Genuine raccoon fur -Unisex -Natural colour -Inner polyester lining - Extremely warm, soft and stylish fur hat -Made in Italy. Brand Amifur snc -Best quality guaranteed ..
-Possum fur hat -Classic style -Genuine Possum fur -Natural colour -Inner polyester lining - Extremely warm and soft possum fur hat -Made in Italy. 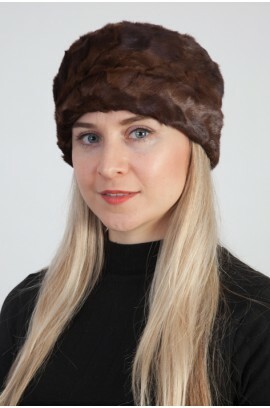 Brand Amifur snc -Best quality guaranteed ..
-Brown possum fur hat -Classic style -Genuine Possum fur -Natural brown colour -Inner polyester lining -Extremely warm and soft fur hat -Made in Italy. 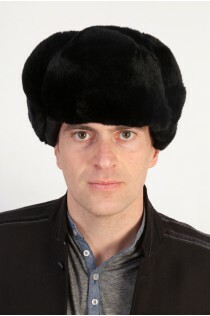 Brand Amifur snc -Best quality guaranteed ..
-Authentic sable fur hat -Classic style -Genuine sable fur -Natural colour -Inner polyester lining - Extremely warm, soft, stylish and luxurious fur hat -Made in Italy. Brand Amifur snc -Best quality guaranteed ..
-Authentic Sable fur hat -Classic style hat -Genuine Sable fur -Unisex, women and men -Natural golden –champagne color -Extremely warm, soft and luxurious hat -Inner Polyester lining -Made in Italy. 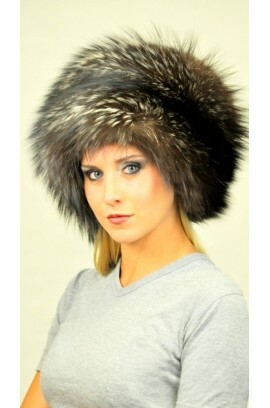 Brand Amifur &nbs..
-Karakul sheep fur hat - black -Quality natural fur -Real fur hat -Natural color -Unisex -Inner satin lining -100% Handmade -7 sizes available -Made in Italy -Brand: Amica snc -Top quality guaranteed ..
-Grey mink fur hat. 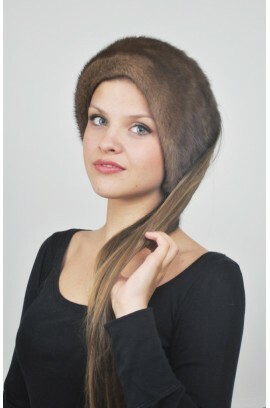 Created with mink fur remnants -Quality natural fur -Real fur hat -Not natural color -Unisex -Inner satin lining -100% Handmade -7 sizes available -Made in Italy -Brand: Amica snc -Top quality guaranteed ..
-Genuine mink fur hat. 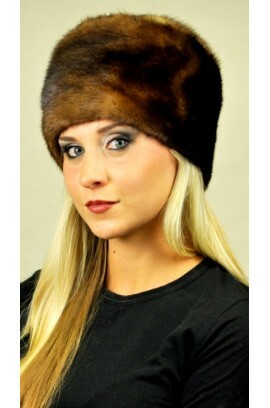 Created with brown mink fur remnants -Quality natural fur -Real fur hat -Natural color -Unisex -Inner satin lining -100% Handmade -7 sizes available -Made in Italy -Brand: Amica snc -Top quality guaranteed ..
-Rex-chinchilla fur hat -Quality natural fur -Real fur hat -Natural color -Unisex -Inner satin lining -100% Handmade -7 sizes available -Made in Italy -Brand: Amica snc -Top quality guaranteed ..
-Length 95/100 cm -Width 11/13 cm -Lynx fur scarf -Genuine lynx fur -Women -Natural colour -Naturally spotted -Inner polyester lining -Extremely luxurious and stylish fur scarf -Made in Italy. Brand Amifur snc -Best quality guaranteed ..
-Length 100/110 cm -Width 10/11 cm -Sable fur scarf -Genuine sable fur -Unisex -Natural brown colour -Inner polyester lining -Extremely soft, warm and stylish fur scarf -Luxurious fur scarf -Made in Italy. Brand Amifur snc -Best quality guaranteed ..
-Length 100/110 cm -Width 9/10 cm -Sable fur scarf -Genuine sable fur -Women -Natural champagne colour -Double sided fur -Extremely soft, warm and stylish fur scarf -Luxurious fur scarf -Made in Italy. Brand Amifur snc -Best quality guaranteed ..
-Length 100/105 cm -Width 10/11 cm -Sable fur scarf -Genuine sable fur -Unisex -Natural dark brown colour -Inner polyester lining -Extremely soft, warm and stylish fur scarf -Luxurious fur scarf -Made in Italy. Brand Amifur snc -Best quality guaranteed ..
-Length 145/155 cm -Arctic fox fur scarf -Genuine arctic fire fox fur -Extremely warm, fluffy and soft scarf -Natural colour -Inner polyester lining -Made in Italy. Brand Amifur snc -Best quality guaranteed ..
-Length 120/130 cm -Pink fox fur scarf -Genuine Scandinavian fox fur -Not natural pink colour -Inner polyester lining -Extremely warm, soft, fluffy and luxurious fur scarf -Made in Italy. 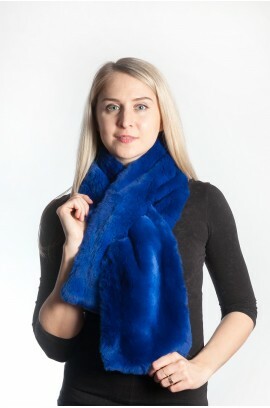 Brand Amifur snc -..
-Length 145/155 cm -Blue fox fur scarf -Genuine Scandinavian fox fur -Not natural blue colour -Inner polyester lining -Extremely warm, soft, fluffy and luxurious fur scarf -Made in Italy. Brand Amifur snc -..
-Length 145/155 cm -Brown fox fur scarf -Genuine Scandinavian fox fur -Real natural scarf colour -Inner polyester lining -Extremely warm, soft, fluffy and luxurious fur scarf -Made in Italy. Brand Amifur snc ..
-Length 100/110 cm -Violet fox fur scarf -Genuine Scandinavian fox fur -Not natural violet colour -Inner polyester lining -Extremely warm and fashionable fur scarf -Made in Italy. Brand Amifur snc -Best quality g..
-Length 130/140 cm -Grey fox fur scarf -Genuine Scandinavian fox fur -Real natural scarf colour -Inner polyester lining -Extremely warm and fashionable fur scarf -Made in Italy. Brand Amifur snc -Best quality gua..
-Length 100/105 cm -Silver fox fur scarf -Genuine Scandinavian silver fox fur -Real natural scarf colour -Inner polyester lining -Extremely warm and fashionable fur scarf -Made in Italy. Brand Amifur snc -Best qu..
-Length 120/130 cm -Width 10/11 cm -Mink fur scarf -Genuine Scandinavian mink fur -Real natural scarf colour -Inner polyester lining -Extremely warm, soft and stylish fur scarf -Made in Italy. Brand Amifur snc ..
-Length 115/120 cm -Width 17/18 cm -Petit-Gris fur scarf -Genuine fur -Real natural scarf colour -Inner polyester lining -Extremely warm, soft and stylish fur scarf -Made in Italy. Brand Amifur snc -Best quali..
-Length 110/115 cm -Width 12/13 cm -Rex-Chinchilla fur scarf -Genuine Rex Chinchilla fur -Real natural colour -Inner polyester lining -Extremely warm, soft and stylish fur scarf -Made in Italy. 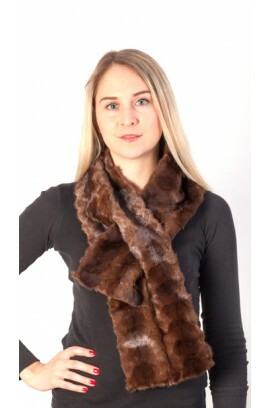 Brand Amifur snc ..
-Length 105/115 cm -Width 14/16 cm -Beaver fur scarf -Genuine Canadian beaver fur -Real natural brown colour -Inner polyester lining -Extremely warm, soft and stylish fur scarf -Made in Italy. Brand Amifur snc ..
-Length 90/95 cm -Width 12/13 cm -Beaver fur scarf -Genuine Canadian beaver fur -Double sided fur -Real natural champagne colour -Extremely warm, soft and stylish fur scarf -Made in Italy. 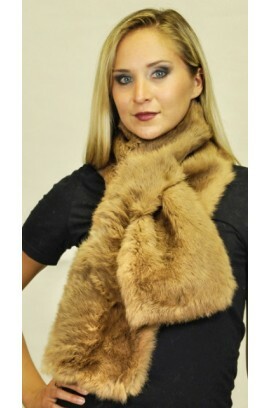 Brand Amifur snc -Be..
-Length 115/120 cm -Width 16/18 cm -Mink fur scarf -Genuine brown mink fur remnants -Real natural brown colour -Inner satin lining -Warm, soft and stylish fur scarf -Made in Italy. Brand Amifur snc -..
-Length 115/120 cm -Width 12/13 cm -Mink fur scarf -Genuine mink fur -Created with mink fur remnants -Not natural colour -Inner satin lining -Extremely warm, soft and stylish fur scarf -Made in Italy. Brand Amifur snc -Best quality guaranteed ..
-Length 105/110 cm -Width 11/12 cm -Raccoon fur scarf -Genuine Raccoon fur -Real natural colour -Real raccoon pom poms -Inner polyester lining -Extremely warm, soft and stylish fur scarf -Made in Italy. Brand Amifur snc ..
-Length 125/130 cm -Width 10/11 cm -Polecat fur scarf -Genuine Polar polecat fur -Real natural colour -Inner polyester lining -Extremely warm, soft and stylish fur scarf -Made in Italy. Brand Amifur snc -Best ..
-Length 145/155 cm -Arctic platinum fox fur scarf -Genuine fox fur -Natural colour -Inner polyester lining -Very warm, fluffy and stylish fur scarf -Luxurious fur scarf -Made in Italy. Brand Amifur snc -Best q..
-Length 145/155 cm -Authentic Cross fox fur scarf -Genuine Cross fox fur -Natural gold-black-white colour -Inner polyester lining -Very warm, fluffy and fashionable fur scarf -Luxurious fur scarf -Made in Italy. Brand Amifur snc ..
-Length 150/160 cm -Authentic silver fox fur scarf -Genuine Scandinavian Silver fox fur -Natural white-black-silver colour -Inner polyester lining -Very warm, fluffy and stylish fur scarf -Made in Italy. Brand Amifur snc &nbs..
-Length 130/140 cm -Authentic white fox fur scarf -Genuine white fox fur -Natural white colour -Inner polyester lining -Very warm, fluffy and stylish fur scarf -Made in Italy. Brand Amifur snc -Best quality guara..
-Length 145/155 cm -Bluish fox fur scarf -Genuine Scandinavian fox fur -Woman -Not natural blue colour -Inner polyester lining -Extremely warm, fluffy and trendy fur scarf -Made in Italy. Brand Amifur snc -Best qua..
-Length 110/115 cm -Golden fox fur scarf -Genuine Scandinavian golden fox fur -Woman -Natural golden-fire colour -Inner polyester lining -Extremely warm, fluffy and trendy fur scarf -Made in Italy. 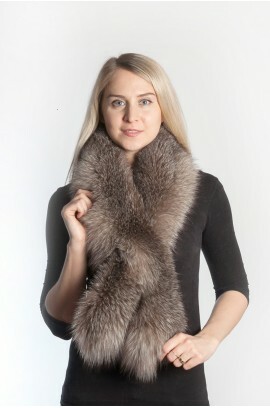 Brand Amifur snc ..
-Length 80/90 cm -Grey fox fur scarf -Genuine Scandinavian grey fox fur -Woman -With real fox fur pom poms -Natural grey colour -Inner polyester lining -Extremely warm, fluffy and trendy fur scarf -Made in Italy. Brand Amifur snc ..
-Length 80/90 cm -Silver fox fur scarf -Genuine Scandinavian Silver fox fur -Woman -With real silver fox fur pom poms -Natural silver colour -Inner polyester lining -Extremely warm, fluffy and trendy fur scarf -Made in Italy. Brand Amifur snc ..
-Length 80/90 cm -White fox fur scarf -Genuine Arctic-Scandinavian white fox fur -Woman -With real white fox fur pom poms -Natural white-cream colour -Inner polyester lining -Extremely warm, fluffy and trendy fur scarf -Made in Italy. Brand Amifur snc &n..
-Length 70/80 cm -Fox fur scarf -Genuine Scandinavian black fox fur -Real fox fur pom poms -Woman -Natural colour -Inner polyester lining -Extremely soft and warm, trendy fur scarf -Made in Italy. Brand Amifur snc &nbs..
-Length 110/115 cm -Width 14/16 cm -Mink fur scarf -Genuine Scandinavian mink fur -Woman -Natural colour -Inner polyester lining -Extremely soft and warm, stylish fur scarf -Made in Italy. 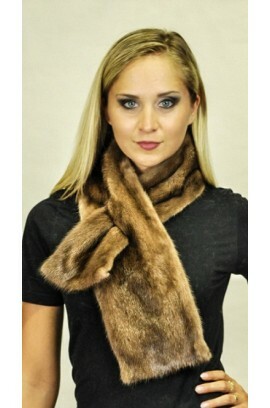 Brand Amifur snc -Best..
-Length 120/125 cm -Width 12/14 cm -Beaver fur scarf -Genuine Canadian beaver fur -Woman -Natural champagne colour -Artificially spotted -Inner polyester lining -Extremely soft warm and stylish fur scarf -Made in Italy. Brand Amifur snc &nbs..
-Length 115/120 cm -Width 17/18 cm -Rabbit fur scarf -Genuine rabbit fur -Woman -Not natural colour, artificially spotted -Inner polyester lining -Extremely soft and stylish fur scarf -Made in Italy. Brand Amifur snc -Best quality guaranteed ..
-Length 110/115 cm -Width 14/16 cm -Rex-chinchilla fur scarf -Genuine rex-chinchilla fur -Woman -Natural colour -Inner polyester lining -Extremely soft and stylish fur scarf -Made in Italy. 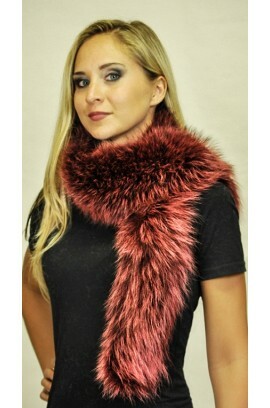 Brand Amifur snc -Bes..
-Length 105/110 cm -Red raccoon fur scarf -Genuine raccoon fur -Woman -Not natural red-cherry colour -Inner polyester lining -Extremely warm, soft and stylish fur scarf -Made in Italy. Brand Amifur snc -Best ..
-Length 105/110 cm -Width 14/16 cm -Raccoon fur scarf -Genuine raccoon fur -Unisex -Natural colour -Inner polyester lining -Extremely warm, soft and stylish fur scarf -Made in Italy. Brand Amifur snc -Best quali..
-Length 105/110 cm -Width 11/12 cm -Raccoon fur scarf -Genuine raccoon fur -Unisex -Natural colour -Double sided fur -Extremely warm, soft and stylish fur scarf -Made in Italy. Brand Amifur snc -Best quality gua..
-Length 115/120 cm -Width 10/11 cm -Karakul fur scarf -Genuine black karakul fur -Unisex -Natural black colour -Inner polyester lining -Warm and stylish fur scarf -Made in Italy. 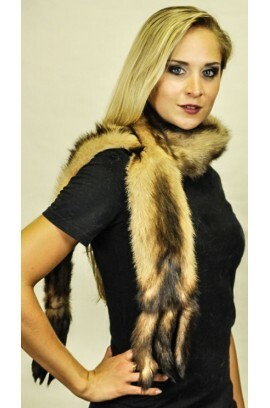 Brand Amifur snc -Best qua..
-Length 120/135 cm -Width 10/11 cm -Polecat fur scarf -Genuine polar polecat fur -With real polecat tails -Natural colour -Woman -Inner polyester lining -Extremely warm, soft and stylish fur scarf -Made in Italy. Brand Amifur snc -Best quality guaranteed ..
-Length 110/120 cm -Width 17/18 cm -Brown rabbit fur scarf -Genuine rabbit fur -Natural colour -Inner polyester lining -Warm and soft fur scarf -Made in Italy. Brand Amifur snc -Best quality guaranteed ..
-Length 115/120 cm -Width 18/20 cm -Black mink fur scarf -Genuine mink fur -Created with black mink fur remnants -Not natural black colour -Unisex -Inner polyester lining -Warm and stylish fur scarf -Made in Italy. Brand Amifur snc &..
-Length 120/125 cm -Width 8/9 cm -Mink fur scarf -Genuine Scandinavian mink fur -Natural colour -Unisex -Inner polyester lining -Extremely warm, soft and stylish fur scarf -Made in Italy. Brand Amifur snc -Best ..
-Length 130/140 cm -Width 12/13 cm -Authentic sable fur scarf -Genuine sable fur -Natural colour -Unisex -Inner polyester lining -Extremely warm, soft and stylish fur scarf -Luxurious fur scarf -Made in Italy. Brand Amifur snc &..
-Silver fox fur collar -Genuine Scandinavian silver fox fur -Extremely warm, soft, fluffy and stylish fur collar -Inner polyester lining -Natural silver colour -Made in Italy. Brand Amifur snc -Best quality guaranteed ..
-White fox fur collar -Genuine white fox fur -Extremely warm, soft, fluffy and stylish fur collar -Inner polyester lining -Natural white colour -Made in Italy. Brand Amifur snc -Best quality guaranteed ..
-Golden Fire fur collar -Genuine Scandinavian fox fur -Extremely warm, soft, fluffy and fashionable fur collar -Inner polyester lining -Natural colour -Made in Italy. Brand Amifur snc -Best quality guaranteed ..
-Black fox fur collar -Genuine Scandinavian fox fur -Black not natural colour -Inner polyester lining -Extremely warm, soft, fluffy, trendy fur collar -Made in Italy. Brand Amifur snc -Best quality guaranteed ..
-Grey fox fur collar -Genuine Scandinavian fox fur -Extremely warm, soft, fluffy and stylish fur collar -Inner polyester lining -Natural grey colour -Made in Italy. Brand Amifur snc -Best quality guaranteed ..
-Blue fox fur collar -Genuine Scandinavian fox fur -Extremely warm, soft, fluffy and stylish fur collar -Inner polyester lining -Not Natural blue colour -Made in Italy. Brand Amifur snc -Best quality guaranteed ..
-Red-cherry fox fur collar -Genuine Scandinavian fox fur -Extremely warm, soft, fluffy and fashionable fur collar -Inner polyester lining -Not natural red-cherry colour -Made in Italy. Brand Amifur snc -Best quality guaranteed ..
-Brown fox fur collar -Genuine Scandinavian fox fur -Extremely warm, soft, fluffy and stylish fur collar -Inner polyester lining -Natural brown colour -Made in Italy. Brand Amifur snc -Best quality guaranteed ..
-Peken fox fur collar -Genuine Scandinavian fox fur -Extremely warm, soft, fluffy and stylish fur collar -Inner polyester lining -Natural dark brown colour -Made in Italy. Brand Amifur snc -Best quality guaranteed ..
• Genuine Mink Fur - luxurious quality • Mink Fur is durable and premium quality • Natural cream color • Handmade • Satin Lined interior • Button loop closure • All gen..
• Deluxe white fox fur • The fur is premium quality • Fox Fur is long, lush and silky • Natural color • Handmade • Satin lining • Hidden button loop closure • &nb..
• Genuine white fox fur • Fluffy soft fur • Natural white color • Handmade • Satin Lined interior • Hidden button loop closure • All genuine fur exterior • ..
• Premium Rex Fur • Rex rabbit fur is luxuriously soft & does not shed • Handmade • Satin Lined interior • Fur button loop closure • All genuine fur exterior • Made..
• Premium Rex Fur • Rex rabbit fur is luxuriously soft & does not shed • Handmade • Satin Lined interior • Fur Button loop closure • With hood (all fur exterior, satin lined interior)..
• Premium Rex Fur • Rex rabbit fur is luxuriously soft & does not shed • Handmade • Satin Lined interior • Hidden button loop closure • All genuine fur exterior • M..
• Premium Rex Fur • Rex rabbit fur is luxuriously soft & does not shed • Handmade • Satin Lined interior • Single hook and eye closure • Hidden button loop closure • ..
-Authentic Silver fox fur headband -Genuine Scandinavian silver fox fur -You can also wear it like fur collar -Double sided fur -Extremely warm, soft, fluffy and stylish headband -Natural colour -Made in Italy. Brand Amifur snc -Best quality guaranteed ..
-Authentic grey fox fur headband -Genuine Scandinavian grey fox fur -You can also wear it like fur collar -Double sided fur -Extremely warm, soft, fluffy and stylish headband -Natural grey colour -Made in Italy. Brand Amifur snc -Best quality guaranteed ..
-Fox fur Headband -Genuine Scandinavian golden fox fur -You can also wear it like fur collar -Extremely warm, soft, fluffy headband -Double sided fur -Natural colour -Made in Italy. Brand Amifur snc -Best quality guaranteed ..
-Authentic white fox fur headband -Genuine Scandinavian white fox fur -You can also wear it like fur collar -Double sided fur -Extremely warm, soft, fluffy and stylish headband -Natural white colour -Made in Italy. Brand Amifur snc -Best quality guaranteed ..
-Real mink fur headband -Genuine Scandinavian mink fur -You can also wear it like fur collar -Double sided fur -Extremely warm, soft, stylish headband -Natural colour -Made in Italy. Brand Amifur snc -Best quality guaranteed ..
-Real mink fur headband -Genuine Scandinavian white mink fur -You can also wear it like fur collar -Double sided fur -Extremely warm, soft, stylish headband -Natural white-cream colour -Made in Italy. Brand Amifur snc -Best quality guaranteed ..
-Possum fur headband -Genuine possum fur -You can also wear it like fur collar -Double sided fur -Extremely warm, soft, stylish headband -Natural brown colour -Made in Italy. Brand Amifur snc -Best quality guaranteed ..
-Possum fur headband -Genuine possum fur -You can also wear it like fur collar -Double sided fur -Extremely warm, soft, stylish headband -Not natural blue colour -Made in Italy. 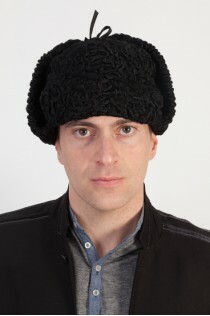 Brand Amifur snc -Best quality guaranteed ..
-Karakul fur headband -Genuine Karakul fur -You can also wear it like fur collar -Double sided fur -Warm and stylish fur headband -Natural black colour -Made in Italy. 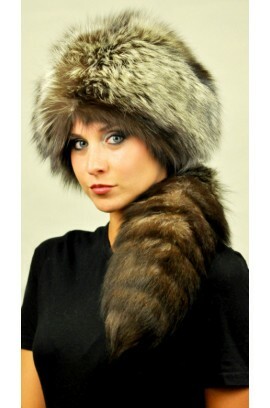 Brand Amifur snc -Best quality guaranteed ..
-Authentic raccoon fur headband -Genuine raccoon fur -You can also wear it like fur collar -Double sided fur -Extremely warm, soft, stylish headband -Natural colour -Made in Italy. Brand Amifur snc -Best quality guaranteed ..
-Rex-Chinchilla fur headband -Genuine Rex-Chinchilla fur -You can also wear it like fur collar -Double sided fur -Extremely warm, soft, stylish headband -Natural white-grey-black colour -Made in Italy. Brand Amifur snc -Best quality guaranteed ..
-White fox fur neck warmer -Genuine real white fox fur -Extremely warm, fluffy and stylish fur neck warmer -Ideal for brides and winter weddings. -Inner polyester lining -Natural white colour -Handmade product -Made in Italy. Brand Amifur snc -Best quality guaranteed Lengt..
-Silver fox fur neck warmer -Genuine real silver fox fur -Extremely warm, fluffy and elegant fur neck warmer -Inner polyester lining -Natural colour -Handmade product -Made in Italy. Brand Amifur snc -Best quality guaranteed Length 70/75 cm. Width 22/24cm. ..
-Grey fox fur neck warmer -Genuine real grey fox fur -Extremely warm, fluffy and elegant fur neck warmer -Inner polyester lining -Natural colour -Handmade product -Made in Italy. Brand Amifur snc -Best quality guaranteed Length 70/75 cm. Width 22/24cm. ..
-White rex fur neck warmer -Genuine white rex-rabbit fur -Extremely soft and elegant fur neck warmer -Ideal for brides and winter weddings -Inner polyester lining -Natural white-cream colour -Handmade product -Made in Italy. Brand Amifur snc -Best quality guarante..
-Raccoon fur neck warmer -Unisex, for both women and men -Genuine raccoon fur -Extremely warm and fluffy fur neck warmer -Inner polyester lining -Natural colour -Handmade product -Made in Italy. Brand Amifur snc -Best quality guaranteed Length 65/70 cm. Width 20/22cm. ..
-Rex chinchilla fur neck warmer -Unisex, for both women and men -Genuine rex-chinchilla fur -Extremely soft and elegant fur neck warmer -Inner polyester lining -Natural colour -Handmade product -Made in Italy. 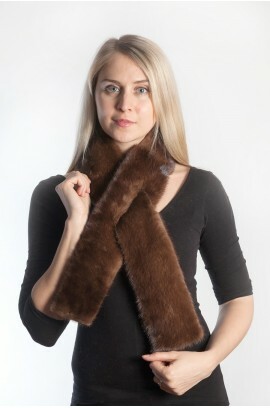 Brand Amifur snc -Best quality guaranteed Length 60/65 cm..
-Black mink fur neck warmer -Created with black mink fur remnants -Genuine mink fur -Extremely stylish and elegant fur neck warmer -Unisex, for both Women and Men -Inner polyester lining -Not natural black colour -Handmade product -Made in Italy. Brand Amifur snc -Be..
-Luxurious sable fur neck warmer -Unisex, for both women and men -Genuine real sable fur -Extremely warm and elegant fur neck warmer -Inner polyester lining -Natural colour -Handmade product -Made in Italy. 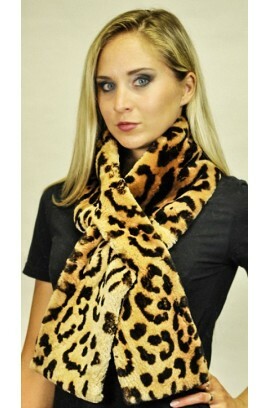 Brand Amifur snc -Best quality guaranteed Length 65/70 cm. ..
- Luxurious sable fur neck warmer -Genuine gold sable fur -Extremely warm and elegant fur neck warmer -Inner polyester lining -Natural champagne-gold colour -Handmade product -Made in Italy. Brand Amifur snc -Best quality guaranteed Length 65/70 cm. Widt..
-Length 130/135 cm -Quality natural fox fur -Scandinavian fox -A Slit opening to hold scarf in place -Satin lined interior -Warm, soft, real -Handmade -Made in Italy -Brand Amica snc -We ensure best quality materials ..
-Length 135-140 cm -Quality natural fox fur -Scandinavian fox -Not natural colour -A Slit opening to hold scarf in place -Satin lined interior -Warm, soft, real -Handmade -Made in Italy -Brand Amica snc -We ensure best quality materials ..
-Length 140/145 cm -Quality natural fox fur -Scandinavian fox -Natural cream color -One size fits all -A Slit opening to hold scarf in place -Satin lined interior -Warm, soft, real -Handmade -Made in Italy -Brand Amica snc -We ensure best quality materials ..
-Length 130/140 cm -Quality natural fox fur -Natural white color -One size fits all -A Slit opening to hold scarf in place -Satin lined interior -Warm, soft, real -Handmade -Made in Italy -Brand Amica snc -We ensure best quality materials ..
-Length 140/145 cm -Quality natural fox fur -Scandinavian fox -Not natural colour -One size fits all -A slit opening to hold scarf in place -Satin lined interior -Warm, soft, real -Handmade -Made in Italy -Brand Amica snc -We ensure best quality materials ..
-Length 120/125 cm -Quality natural Scandinavian fox fur -Natural grey sapphire color -One size fits all -A Slit opening to hold scarf in place -Satin lined interior -Warm, soft, real -Handmade -Made in Italy -Brand Amica snc -We ensure best quality materials ..
-Length 120/125 cm -Quality natural Scandinavian fox fur -Natural silver color -One size fits all -A Slit opening to hold scarf in place -Satin lined interior -Warm, soft, real -Handmade -Made in Italy -Brand Amica snc -We ensure best quality materials ..
-Length 125/130 cm -Quality natural Scandinavian fox fur -Natural crystal color -One size fits all -A Slit opening to hold scarf in place -Satin lined interior -Warm, soft, real -Handmade -Made in Italy -Brand Amica snc -We ensure best quality materials ..
-Length 140/145 cm -Quality natural fox fur -Scandinavian fox -One size fits all -A slit opening to hold scarf in place -Satin lined interior -Warm, soft, real -Handmade -Made in Italy -Brand Amica snc -We ensure best quality materials ..
-Length 150/160 cm -Quality natural Canadian lynx fur -Natural color -One size fits all -A slit opening to hold scarf in place -Satin lined interior -Warm, soft, real fur accessory -Handmade -Made in Italy -Brand Amica snc -We ensure best quality materials ..
-Length 110/120 cm -Width 7/8 cm -Natural color -A slit opening to hold scarf in place -Satin lined interior -Warm, soft, real fur accessory -Handmade -Made in Italy -Brand Amica snc -We ensure best quality materials ..
-Length 105/110 cm -Width 8/9 cm -Quality natural Scandinavian mink fur -Natural white-cream color -One size fits all -A slit opening to hold scarf in place -Satin lined interior -Warm, soft, real fur accessory -Handmade -Made in Italy -Brand Amica snc -We ensure best quality ..
-Length 115/120 cm -Width 10/11 cm -Quality natural mink fur (not naturally spotted) -One size fits all -A slit opening to hold scarf in place -Satin lined interior -Warm, stylish, real fur accessory -Handmade -Made in Italy -Brand Amica snc -We ensure best quality ..
-Length 85/90 cm -Width 10/11 cm -Quality natural mink fur (not natural red color) -One size fits all -A slit opening to hold scarf in place -Satin lined interior -Warm, soft, real fur accessory -Handmade -Made in Italy -Brand Amica snc -We ensure best quality ..
-Length 80/85 cm -Width 10/11 cm -Quality natural mink fur -One size fits all -A slit opening to hold scarf in place -Satin lined interior -Warm, soft, real fur accessory -Handmade -Made in Italy -Brand Amica snc -We ensure best quality ..
-Length 115/120 cm -Width 8/9 cm -Quality natural Scandinavian mink fur -Natural color -Unisex. For Men & Women -One size fits all -A slit opening to hold scarf in place -Satin lined interior -Warm, soft, real fur accessory -Handmade -Made in Italy -Brand Amica snc -We ensure best qu..
-Length 95/100 cm -Width 8/10 cm -Quality natural possum fur -One size fits all -A slit opening to hold scarf in place -Satin lined interior -Warm, soft, real fur accessory -Handmade -Made in Italy -Brand Amica snc -We ensure best quality ..
-Length 100/105 cm -Width 14/15 cm -Quality natural Canadian sable fur -Natural gold color -Unisex. For Men & Women -One size fits all -A slit opening to hold scarf in place -Satin lined interior -Warm, soft, real fur accessory -Handmade -Made in Italy -Brand Amica snc -We ensure bes..
-Length 115/120 cm -Width 13/15 cm -Quality natural polecat fur -Natural cream color -Unisex fur scarf. For Men & Women -One size fits all -A slit opening to hold scarf in place -Satin lined interior -Warm, soft, real fur accessory -Handmade -Made in Italy -Brand Amica snc -We ..
-Length 115/120 cm -Width 13/15 cm -Quality natural polecat fur -Natural color -Unisex fur scarf. For Men & Women -One size fits all -A slit opening to hold scarf in place -Satin lined interior -Warm, soft, real fur accessory -Handmade -Made in Italy -Brand Amica snc -We ensure..
-Length 140/150 cm -Quality natural Australian possum fur -Natural color -Unisex fur scarf. For Men & Women -One size fits all -A slit opening to hold scarf in place -Satin lined interior -Warm, soft, real fur accessory -Handmade -Made in Italy -Brand Amica snc -We ensure best q..
-Length 100/110 cm -Width 12/14 cm -Quality natural raccoon fur -Natural color -Unisex. For Men & Women -One size fits all -A slit opening to hold scarf in place -Satin lined interior -Warm, soft, real fur accessory -Handmade -Made in Italy -Brand Amica snc -We ensure best quality ma..
-Length 100/105 cm -Width 11/12 cm -Quality natural persian karakul fur -Natural brown color -Unisex. For Men & Women -One size fits all -A slit opening to hold scarf in place -Satin lined interior -Warm, soft, real fur accessory -Handmade -Made in Italy ..
-Length 100/105 cm -Width 11/12 cm -Quality natural persian karakul fur -Unisex. For Men & Women -One size fits all -A slit opening to hold scarf in place -Satin lined interior -Warm, soft, real fur accessory -Handmade -Made in Italy -Brand Amica snc -We ensure best quality materials ..
-Length 110/115 cm -Width 14/15 cm -Quality natural rex fur -Not natural colour -One size fits all -A slit opening to hold scarf in place -Satin lined interior -Warm, soft, real fur accessory -Handmade -Made in Italy -Brand Amica snc -We ensure best quality materials ..
-Length 110/115 cm -Width 16/17 cm -Quality natural rex fur -Not natural blue color -One size fits all -A slit opening to hold scarf in place -Satin lined interior -Warm, soft, real fur accessory -Handmade -Made in Italy -Brand Amica snc -We ensure best quality materials ..
-Length 110/115 cm -Width 16/17 cm -Quality natural rex fur -Natural white color -One size fits all -A slit opening to hold scarf in place -Satin lined interior -Warm, soft, real fur accessory -Handmade -Made in Italy -Brand Amica snc -We ensure best quality materials ..
-Length 110/115 cm -Width 16/17 cm -Quality natural rex fur -Not natural grey color -One size fits all -A slit opening to hold scarf in place -Satin lined interior -Warm, soft, real fur accessory -Handmade -Made in Italy -Brand Amica snc -We ensure best quality materials ..
-Length 110/115 cm -Width 16/17 cm -Quality natural rex fur -Not natural pink color -One size fits all -A slit opening to hold scarf in place -Satin lined interior -Warm, soft, real fur accessory -Handmade -Made in Italy -Brand Amica snc -We ensure best quality materials ..
-Length 110/115 cm -Width 16/17 cm -Quality natural rex fur -Not natural black color -One size fits all -A slit opening to hold scarf in place -Satin lined interior -Warm, soft, real fur accessory -Handmade -Made in Italy -Brand Amica snc -We ensure best quality materials ..
-Length 110/115 cm -Width 16/17 cm -Quality natural rex fur -Unisex fur scarf. For Men & Women -One size fits all -A slit opening to hold scarf in place -Satin lined interior -Warm, soft, real fur accessory -Handmade -Made in Italy -Brand Amica snc -We ensure best quality materi..
-Length 55-60 cm -Rex rabbit chinchilla fur -Real fur -Not natural color -Double sided fur -Handmade -Made in Italy -Brand Amica snc -We ensure best quality materials ..
-Length 60-65 cm -Natural grey pearl fox fur -Real fox fur -Natural color -Satin lined interior -Handmade -Made in Italy -Brand Amica snc -We ensure best quality materials ..
-Length 60-65 cm -Natural silver fox fur -Real fox fur -Natural color -Satin lined interior -Handmade -Made in Italy -Brand Amica snc -We ensure best quality materials ..
-Length 85-87 cm -Width 13-15 cm -Greenland fox fur scarf -Quality natural fox fur -Natural color -Inner satin lining -Handmade -Made in Italy -Brand Amica snc -Top quality guaranteed ..
-Length 85-87 cm -Width 13-15 cm -White fox fur scarf -Quality natural fox fur -Natural color -Inner satin lining -Handmade -Made in Italy -Brand Amica snc -Top quality guaranteed ..
-Length 85-87 cm -Width 13-15 cm -Grey-pearl fox fur scarf -Quality natural fox fur -Natural color -Inner satin lining -Handmade -Made in Italy -Brand Amica snc -Top quality guaranteed ..
-Length 85-87 cm -Width 13-15 cm -Silver fox fur scarf -Quality natural fox fur -Natural color -Inner satin lining -Handmade -Made in Italy -Brand Amica snc -Top quality guaranteed ..
-Length 85-87 cm -Width 13-15 cm -Blue fox fur scarf -Quality natural fox fur -Not natural blue color -Inner satin lining -Handmade -Made in Italy -Brand Amica snc -Top quality guaranteed ..
-Length 85-87 cm -Width 13-15 cm -Black (extra dark brown natural color) fox fur scarf -Quality natural fox fur -Natural color -Inner satin lining -Handmade -Made in Italy -Brand Amica snc -Top quality guaranteed ..
• Genuine white fox fur • Fluffy soft fur • Natural white color • Handmade • One size fits all • 140 – 150 cm long • A Slit opening to hold scarf in place • ..
• Genuine white fox fur • Fluffy soft fur • Natural white color • Leather ties • Genuine fox fur pom poms • Handmade • One size fits all • 80 – 90 cm..
• Premium Rex Fur • 115 - 120 cm long • One size fits all • A Slit opening to hold scarf in place • Satin lining • Handmade • Rex rabbit fur is luxuriously soft & d..
• Deluxe fox fur • The fur is premium quality. • Natural color • Handmade • One size fits all • 140 – 150 cm long • A Slit opening to hold scarf in place •..
• Premium Rex Fur • Rex rabbit fur is luxuriously soft & does not shed • Handmade • One size fits all • Hidden button loop closure • Satin lining • Made in Italy •..
• Deluxe white fox fur • The fur is premium quality • Fox Fur is long, lush and silky • Natural color • Handmade • One size fits all • Hidden button loop closure •&nbs..
• Genuine fox fur • Fox Fur is long, lush and silky • Natural grey color • Handmade • Satin Lined interior • Button loop closure • All genuine fur exterior • &nbs..
• Genuine fox fur • Fox Fur is long, lush and silky • Natural grey color • Handmade • Satin Lined interior • All genuine fur exterior • Made in Italy • &nb..
• Genuine white fox fur • Fluffy soft fur • Natural white color • Handmade • Satin Lined interior • Made in Italy • Brand Amica snc This fascinating and luxury&nbs..
• Premium Rex Fur • All genuine fur exterior • Satin Lined interior • Handmade • Rex rabbit fur is luxuriously soft & does not shed • 18 – 20 cm wide • Brand Amica ..
• Deluxe white fox fur • The fur is premium quality • Fox Fur is long, lush and silky • Natural color • Handmade • 20-22 cm wide • One size fits all • ..
• Genuine white fox fur • Fluffy soft fur • Natural white color • Handmade • Joined with elastic in the back • One size fits all • Satin Lined interior • &..
• Genuine fox fur • Fox Fur is long, lush and silky • Natural grey color • Handmade • Joined with elastic in the back • One size fits all • Satin Lined interior • ..